The first video demonstrates the basics of how to draw a self portrait. 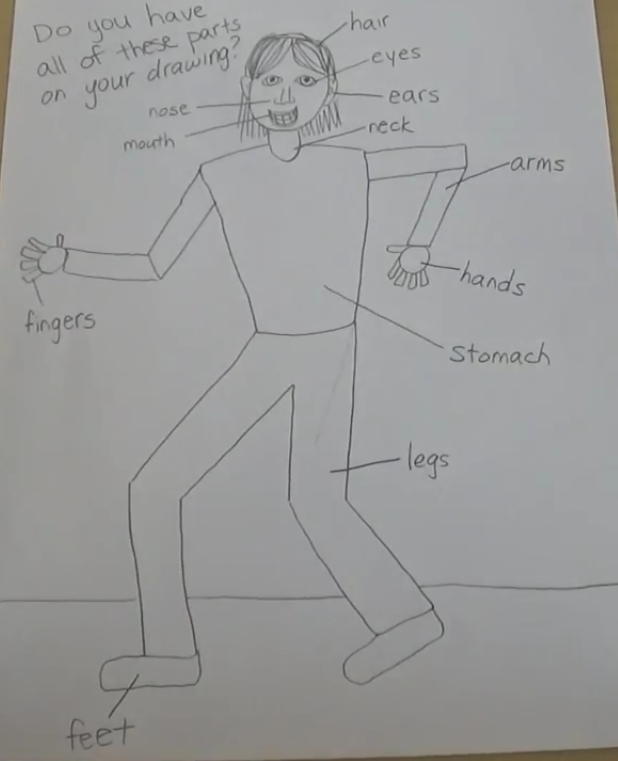 The second video is a Silly School Song about our five senses and the last video demonstrates how to create a drawing about a memory of time when you used one of your five senses. The picture is a reminder to include all parts of the person in your drawing.